Our old friend Jeff Gabel suggested the idea, I had expressed full blown garage envy after seeing a picture he had sent to our "Axis Reader Rides" group. Look at this awesome "M-House" ... there is even a hidden lift to go along with the built in air line....check out more pictures after the jump. OK, that one hurts... in a good way. But I'm willing to bet The Stee takes Jeff on for garage honors within a year. I've already signed up to be Stee's Kato and will also assume the title of Stee's garage manager. So...you're going to hide in his tool chest and jump him as he's preparing to bleed his brakes? 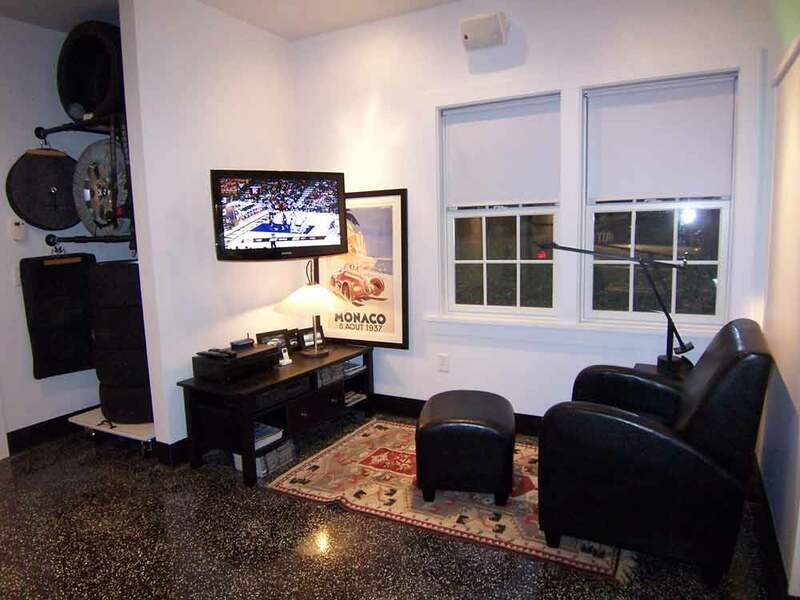 WOW...man cave and garage all in one. Why would you leave this place? Very nice. Love the lift, that is great. I guess it is air operated? How do you get the car in and out? Looks like you took over a basement. I am certainly envious. OH MAN... is that two garages in one? Wawaweewa! Freep, you cannot assume that role.. you're going to have to apply and interview for the position like the rest of us! 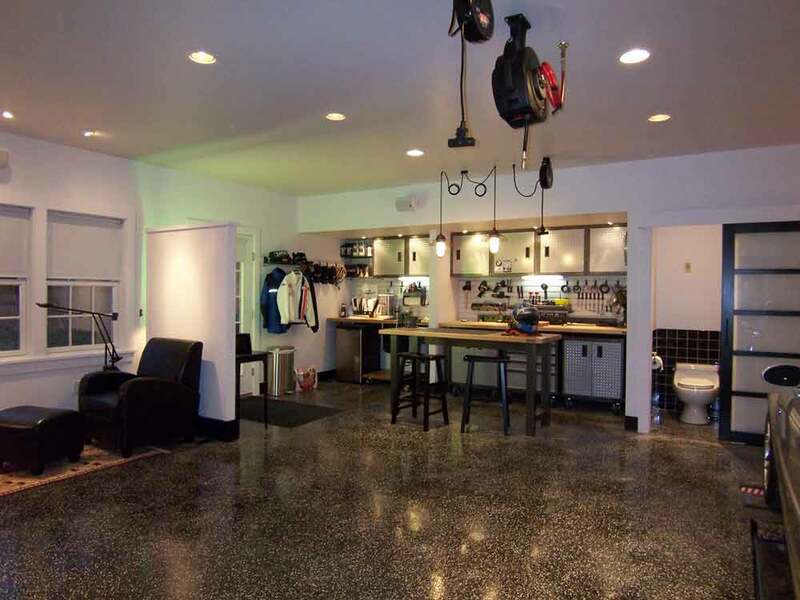 That is a gorgeous garage space but wheres the bar? Dough - that was my first thought, it's got all the things a guy would want, power tools, a fast car, flat panel TVs...but no beer? 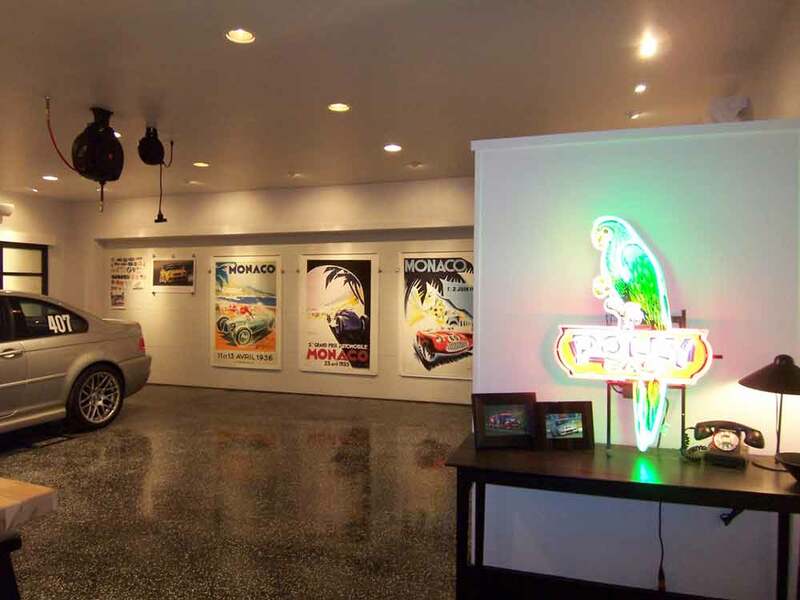 Either way, that inspired me to want a much nicer garage than I ever had before. i'm sorry. 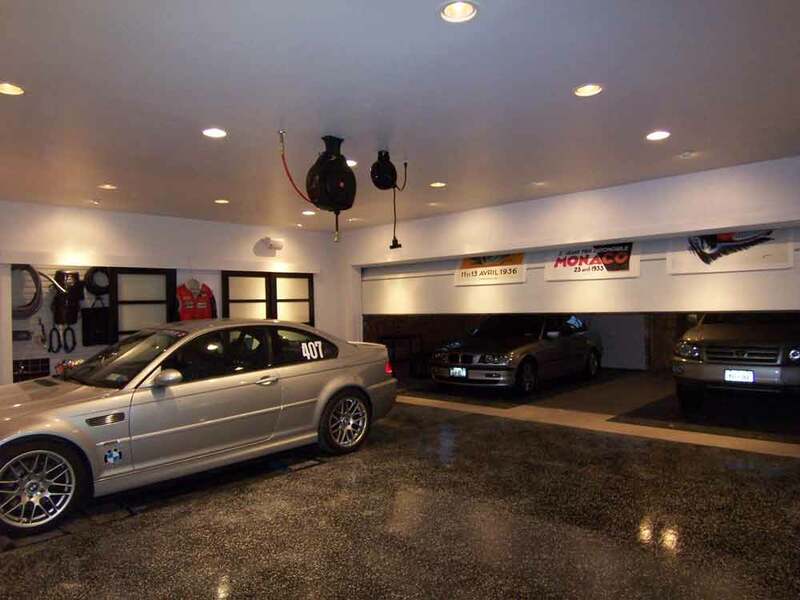 but that garage makes me sick to my stomach. Beer? Uhhh, yes. 5th picture down, workbench, back left hand corner near the trash can. There's a beer fridge, and the red 18 case on the floor is Molson Canadian. (There's an empty on the counter above the fridge.) There's a bathroom... because there's beer. 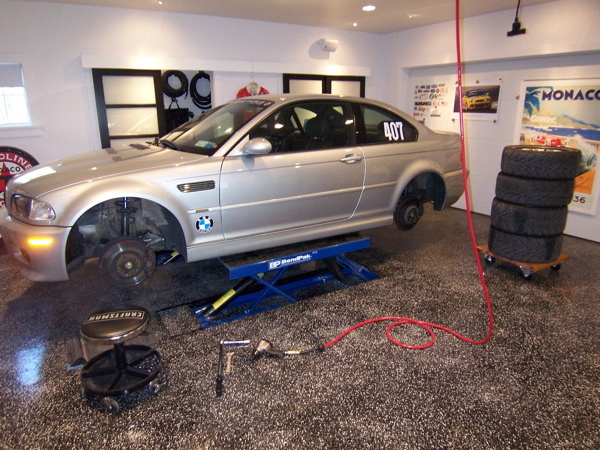 There are some awesome garages in the forums of GarageJournal.com. 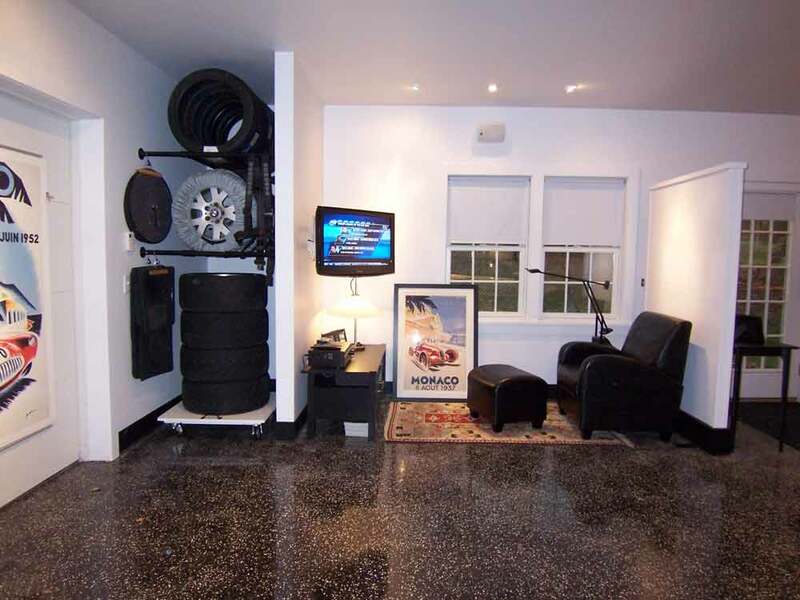 This one...well, this makes me feel like sulking back to my lame 2-car garage. any idea where one could get a bmw decal like the one on the side of the m3?